Can Cancer Patients and Survivors Donate Blood? What Cancer Patients May Donate Blood and When? Cancer survivors may sometimes be able to donate blood if they are more than a year out from therapy. Yet there are situations, such as with leukemias and lymphomas and more, where donating isn't considered safe for those who would receive the blood. When can people who have had cancer donate blood, when can they not, and what are the reasons behind this? It's important to note that individual blood donation organizations, as well as different countries, have different requirements. Having received the benefits of medical care, many cancer patients and survivors wish to give back in some way. We will discuss the details and explanations here, but the answer to one thing is clear—if you have asked this question as a cancer survivor, those who are living with cancer today are grateful. Why Wouldn&apos;t Someone With Cancer Be Able to Donate Blood? Before discussing the guidelines for blood donation after cancer, it's important to discuss the reasons why donating may not be allowed or advisable. 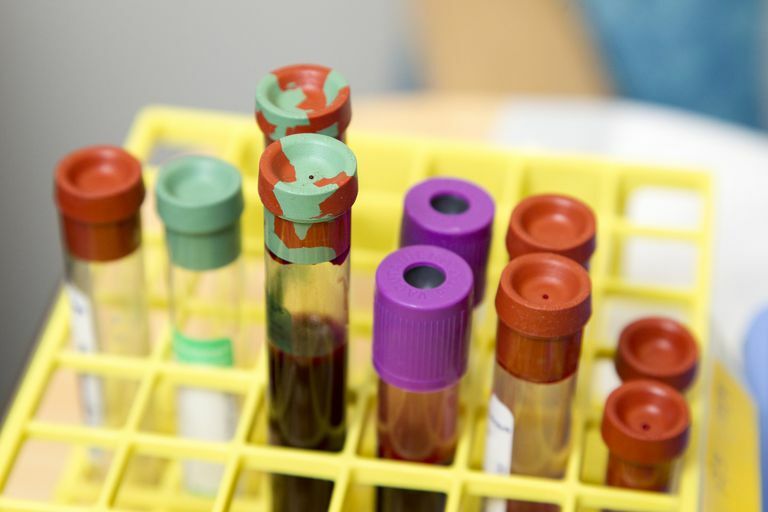 Many people with cancer can see clearly the importance of donating blood, but this may not always be a healthy option. In some cases, chemotherapy can damage bone marrow resulting in anemia even long after treatment. Donating blood also requires a healthy heart, and even the mild anemia created by donating blood could possibly harm those who have cardiac damage related to chemotherapy and radiation therapy. There may also be medical reasons other than cancer that would make donating blood unhealthy for your particular situation. Finally, cancer fatigue is real, and many cancer survivors note that they continue to feel fatigue for several years after they have completed treatment. After being in "receiving" mode for so long, many people want to "give back" even while still coping with these late effects of treatment. Some of the organizations that limit blood donation from cancer survivors for an extended period of time have exactly this in mind. As with the potential for heart problems, even mild anemia due to donation could accentuate fatigue, and hinder your ability to move on in your new "normal" after cancer. The risk of transmitting cancer by a blood transfusion is primarily a theoretical risk; there haven't been any reports of people getting cancer from a blood transfusion. But the fact that, in rare instances, cancer has been transmitted via organ transplants, has resulted in guidelines restricting adults who have had blood cell cancers, such as leukemias and lymphomas, from donating blood. Further requirements include restrictions on some medications, the absence of HIV/AIDS, and a normal hemoglobin level among others. An example of possible requirements is The Red Cross eligibility requirements which also goes into detail on eligibility criteria by topic. You meet the basic criteria above. It has been at least 12 months since the completion of cancer treatment, and you currently are cancer-free (have no evidence of disease - NED). This applies only to people with solid tumors; those who have had blood-related cancers (such as leukemia and lymphoma as an adult) may never donate blood. That said, some centers require 5 years, and others 10 years, after the completion of successful cancer treatment. You are a childhood leukemia or lymphoma survivor and it has been at least 10 years since being deemed cancer-free. If you had a very early cancer in which surgery is curative (for example, ductal carcinoma in situ or DCIS).With these very early cancers, survivors can donate blood as soon as they are healed from surgery. Those in active cancer treatment. Those who have a cancer that is progressing. Those who have a cancer that has recurred following remission. Those who have had blood-related cancers as an adult, such as leukemia, lymphomas, Hodgkin's disease, multiple myeloma, or polycythemia rubra vera. Those who have had cancers such as Kaposi's sarcoma or mycoses fungoides. A history of Kaposi sarcoma, in particular, prohibits blood donation in the future. Those who have had treatment with some particular chemotherapy medications, or certain treatments for cancer such as an organ transplant or a splenectomy. Canada: Contact the Canadian Blood Services to discuss criteria. In the U.K.: Guidelines from the United Kingdom Blood Transfusion and Tissue Transplantation Services state that cancer survivors may not donate blood. Exceptions include those people with basal cell skin cancer which has been completely removed and has healed, and those with precancerous cells, such as abnormal cervical cells, which has been treated and no abnormal cells remain. Australia: According to the Australia Red Cross Blood Service survivors of solid tumors (but not blood-related cancers) may donate blood 5 years after cancer treatment is completed and remain cancer free. For those cancer survivors who are unable to donate blood, there are other ways to help people with cancer. Perhaps you wish to participate in a relay for life, host a fundraiser for a friend with cancer, or become involved as an advocate for one of the cancer organizations supporting your particular type of cancer. Many of these organizations are looking for survivors who are available to speak to people who are newly diagnosed with the same disease via matching services. There are many cancer support groups and cancer communities, where you can bring your experience and all you have learned to the table to help others who are facing the same challenges. If you still feel saddened about the need for blood, consider asking friends or co-workers to donate when you can't. Many friends of cancer survivors feel privileged to have a way to help, and this can be one way to help not only your friend but others in need. Will You Know if Your Donation Makes a Difference? For privacy reasons, donors will not be able to hear about patients who benefit from their donation. That said, the Red Cross states that every donation saves 3 lives. And in Sweden, the county council will text you when your blood is used!